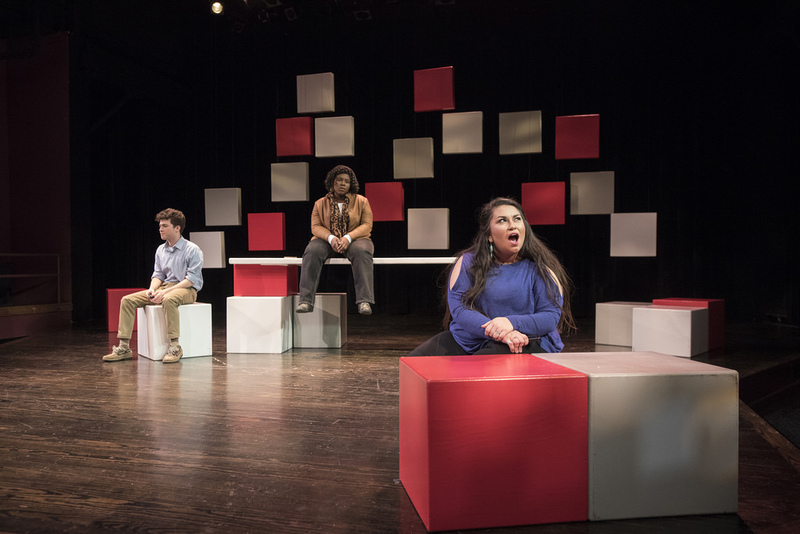 As part of the College of Arts and Sciences, the Theatre Arts is committed to a liberal arts education for our undergraduate students and professional training for graduate students. The ancient art of theatre is most fully understood and exists at its deepest form of expression through the creation of performances shared with an audience. Doing so demands a deep array of knowledge and skill combined with a professional attitude and work ethic that can serve students throughout their lives in whatever profession they pursue. Joy in creating work that turns ideas, imagination, words, cloth, lumber, sound, and silence into magic that is beheld by everyone whether friend or stranger. When we are passionate about our work—and making theatre demands such passion every day—it does not seem like work at all. We believe that these complex goals, abilities, and attitudes should be evident daily in our classrooms and our rehearsal rooms. Students who internalize this way of thinking and working are prepared extraordinarily well for any of their future goals.